Fresh Produce India's engaging programme covers all the big topics affecting the high-growth Indian business. There will be plenty to discover at India's fresh produce conference and expo - from agritech start-ups to emerging international products and suppliers. 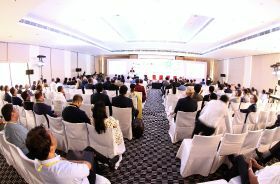 For those looking to attend the event, which takes place on 24-26 April at the Trident Nariman Point, this week represents the last opportunity to secure a spot for the early bird rate of US$480 (standard price - US$600). Click here for more details on how to register for this must-attend event. 4Is this the end of ‘retailer vs supplier’? 5The fresh produce business? It's complicated!